Kiosk California’s design diva duo (that’s Amy and myself) recently visited GDC 2016, the 30th incarnation of the Game Developers’ Conference. We were blown away by the amount of virtual reality on offer, and blasted a few stuffed animals in the process. Igloo’s 360 degree virtual reality display was one of our first stops. Their VR experience takes place in a dome-shaped room that holds up to 12 people. Inside the dome, players experience immersive projection technology that brings 360 degree content to life. 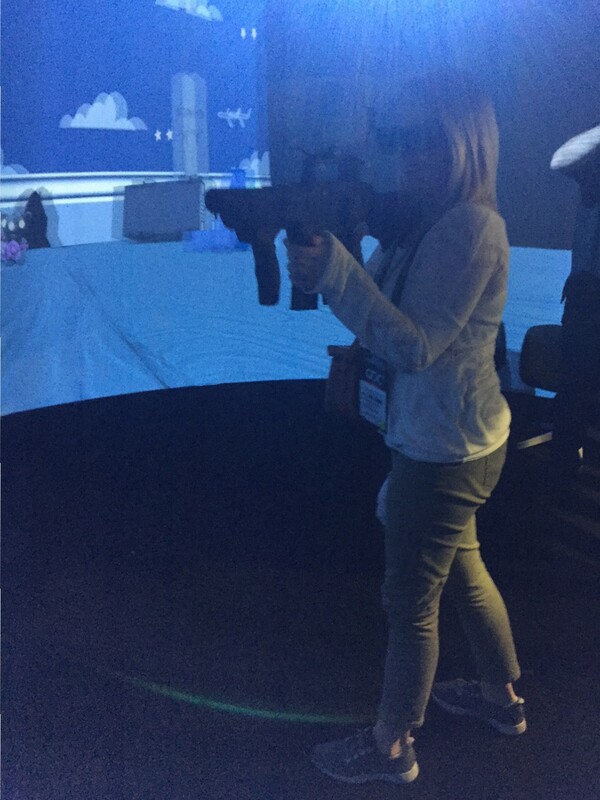 When it was our turn to play, we were handed 3D glasses and a rifle shaped controller, and instructed to shoot zombie-like stuffed animals in a game that played like a first-person shooter in a Toy Story-style environment. We have to admit, it was a lot of fun. VR was the name of the game all over GDC in 2016. The big players in VR (Oculus, Sony, NVIDIA) had enormous booths with equally enormous lines to experience their latest demos. We also swung by some of the booths outside of the expo to see what some smaller VR developers are working on. Birdly was a definite stand out. Their combination of technology and robotics, including an Oculus headset and a fan blowing wind in your face, give you the ability to experience human flight. Outside of the VR theme, we spotted some other interesting technologies. One display had a camera that claimed to take facial recognition one step further with emotion recognition. We just had to take a selfie showing how emotional we can be. Another favorite booth of ours belonged to our friends at Tapjoy. 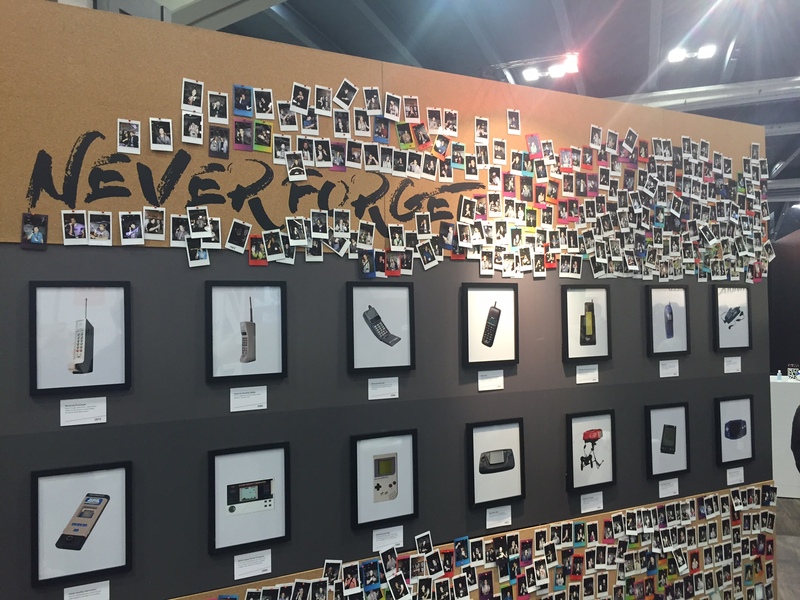 They were paying respects to past technology and celebs with a timeline of tech and mobile gaming. Visitors could take a picture with either a flip phone or a gameboy and add it to the timeline at the point where you got your first mobile device. Being designers, we couldn’t help but notice a common theme when it comes to the branding of tech and gaming companies at GDC. Red was the most popular choice for virtual reality, with lime green and dark gray making strong showings. 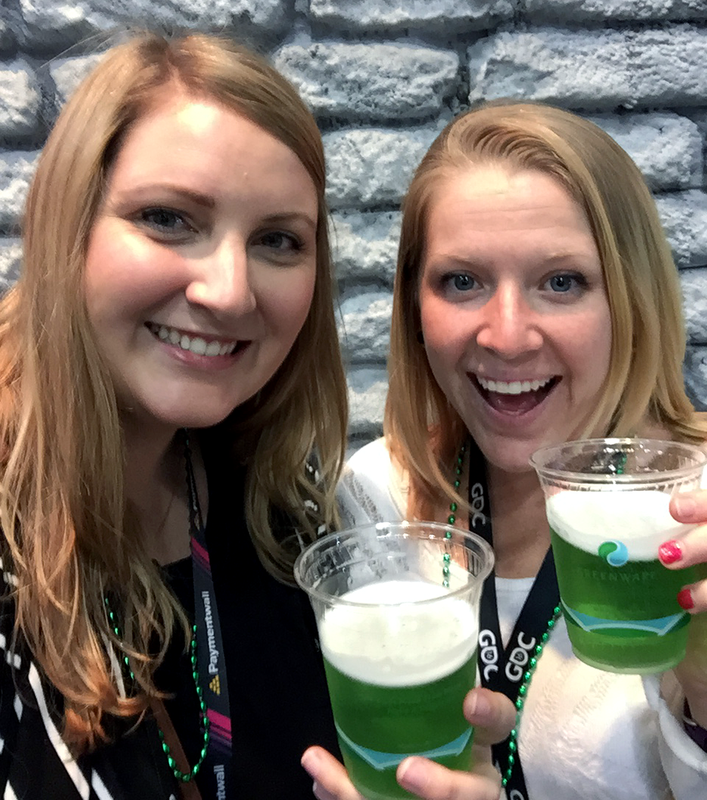 Green also featured in the St. Patrick’s Day beers we enjoyed while saying cheers to GDC.